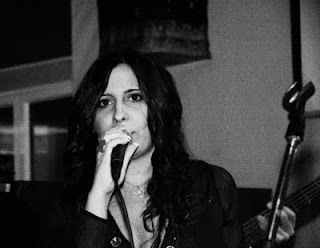 IreneB is this weeks spotlight on The Great Unknowns Presents. Irene came to me a few weeks ago and presented music for me to review for my show. It was such an honor to have such a talented artist seek me out. I listened to the first song, Forgive Me Now and I was immediately hooked. I knew I had to put her in my line-up. IreneB is a native of Spain and has been singing since she was six years old. At age 18, she began studying music at Aula de Música Moderna y Jazz (The Class of Modern Music and Jazz) in Del Liceo, Madrid. Soon after, in 2005, she released her first Spanish album, Mi Realidad. Although her home is in Spain, her love for music has always belonged to America. She grew up listening to 90's R&B and now, she is fufilling her dream by working with the legendary Executive Record Producer, Frankie Biggz. 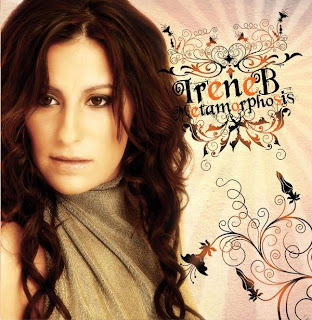 Together, they collaborated to create IreneB's first American originated full length album, Metamorphsis. With the first release of her first album on American soil, Irene now becomes the first Spainard to cross over to English R&B. So, you’ve had a #1 hit in the UK on the independent radio station for 10 weeks straight on, Pittradio and you’ve made the top 10 on the Top 80 countdown on West Side Will along with other top positions on several podcast and internet radio shows like S2R radio and HotMix106.1. How does it feel to be in the top positions in that market? I feel really proud to be in the top of the charts, even at an independent level. It is a great achievement having in consideration the amount of independent and unsigned artists there are nowadays. After American Idol, America’s Got Talent and all those programs, plus the easiness of recording your own demo nowadays, it seems like there’s been a big boom of new artists, so that makes me really happy that people still discovers and appreciates my music. Would you give it all up to be heard on the air here nationwide in the states? I wouldn’t give up my integrity as an R&B artist. I’ve been in the music game for a long time and I’ve been offered all kinds of deals, but I had to change in some way my integrity. It was my weight, the language or the style, or all of them! I talk about it in my song, I Wanna Fly. I prefer to be independent, but be happy with myself and what I do than being major, heard everywhere, but not happy with my work. You recently met Leela James while you were on tour in Chicago. Are you going to try and do a show together in the near future? We are definitely thinking about it. We(Biggz and I) already talked to her and we are planning on talking to her management about doing something together. She’s never been to Spain, so I would love to be the first to bring her to my country and my circle, because I know they admire her from afar. She is an incredible artist and her band is amazing, it was such an honor for me to perform in the same stage as her. Have you met anyone else big that you admire in this business? During the last few years I’ve been lucky enough to meet and work with some big people in the industry, most of all, producers and songwriters (Frankie Biggz, Trey Mills, Rodolfo Castillo, Iker Gastaminza, etc.) but I’ve also had the opportunity to be close to artists like Mariah Carey, Boyz II Men, Nate James, Alicia Keys, Christina Aguilera, Luis Fonsi… It’s really inspiring to even being feet away from them. I honestly feel very overwhelmed with all that’s happened to me in the last few years. Growing up, you’ve always been into R&B music. Who were your major influences? First and foremost, my biggest influence was and is Mariah Carey, and I can’t believe that even people that don’t know I’m her biggest fan compare my voice to hers. I personally don’t think I’m even close, but I guess I have to learn to take compliments! I love not only her voice but her abilities as a producer, songwriter and arranger, and the fact that she stood there, in the record industry for almost 20 years. Other influences are mainly from the 90’s. I am totally stuck there, people like Boyz II Men, Blackstreet, En Vogue, Jodeci, Guy and so on… I’ll never get over it! In fact, I’m going to bring it back, watch! Me: Those are some of the greatest artists of our time, Irene. You have great taste in music! I noticed that you studied music in Spain for 7 years. Are you a native of Spain or did you grow up here in the states? I am originally from Barcelona, Spain. Full blood Spaniard! That’s what’s “special” about me. I am the first Spaniard to release an English R&B album worldwide. People get weirded out that I sing in English and you can barely tell my accent when I sing! I can't tell you have an accent either. You recently just came back from a tour in Spain and the UK. How was that experience? It was awesome! I had already sung in Barcelona, but never like this with a full band and my own show and music. Everyone was so receptive and loving, both in and out of my country. I never thought I could have people getting out of their sits and dance around to my music, really enjoying it! I am really grateful for this opportunity that life has given me. When did you release your first record? It wasn’t in English, was it? I released it in 2005 and it was in Spanish, it was called “Mi Realidad” and all songs were produced by Soulfeenix. I never thought those songs were going to be the first step to make my dream come true. I auto financed that record and thanks to it I am where I am today. Because you’re fluent in Spanish, do you plan on producing another Spanish record since it was so successful the first time? I can’t believe you work with Frankie Biggz. He’s one of the biggest Indie record producers in today’s industry. You’ve even produced a track with him called, “Tender Soul”. Do you still work with him? Is there a plan on a song collaboration for your next LP? Absolutely! Frankie is not only my producer, but my best friend. He’s captured the essence of IreneB, and although sometimes we yell and scream at each other in session, I haven’t found anybody as professional and determined as him. He helps me show the best of me and I help him show the best of him! We both love the same music as well, so it’s easy to tell him, “I want this to sound kinda like that song, you know what I mean?” and he knows right away what I’m talking about. When can your fans expect another great record? I am in the studio right now, and as we're speaking, Frankie’s working on a new track, so hopefully there will be another IreneB record in 2010. We would like to have it recorded by March-April and be able to launch it for next summer, but you know! You cannot rush creativity! Luckily now we have experience, so we won’t make the mistakes that we made last time! Once people get a sample of your music, I’m sure they will be searching for a video on Youtube. Any chance a music video will be in the works for you? As of now we haven’t filmed any videos. Being an Independent artist is all about timing and budgets. As part of a record label and being part of my own promotion, you have to make choices on where to spend the money. Things are starting to catch up, so it seems we will be able to have a video really soon here, maybe for the next single of this album or the new single for next. When is your next concert? Do you have a large line up in the US or outside of US? Our next gig is at Traverscity, Mi (Close to Detroit), you guys can check my website for more info on that. As far as line up, we're always getting booked everywhere, so it changes day by day, the best thing is to go to my website to be up-to-date with my gig dates. Also, we're planning something big for New Years, but we still don't know if it will be here or in Europe. Me: That is really awesome. Thank you so much for your time, Irene and thanks for coming on my show. I can't wait to talk to you again when you release your next ablum. Best of luck to you and I hope to see you on this side of the globe! If you'd like to get more information on IreneB, check out her website at IreneB.com. You can also purchase her breakout english debut album, Metamorphosis on Amazon.com.